In your face Funk! 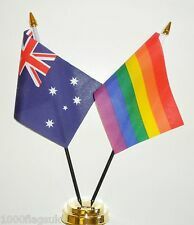 You should be glad, because now you too, can get married down under. I think the replies on this forum regarding such issues speak for themselves...as they often do. Last edited by Funk*Sonic*7; 11-29-2017 at 07:04 AM. I just spend too much time on the internet. Wait... I just reread. What issues?? wait.. does being pro gay make us gay then? Yeah I have problem with that. Yeah I have problem with that. Let me go copy/paste one of funk's posts. That'll solve it and absolve me of my practice. hahaha PRACTICE!! !